We looked at all the products in the space and thought, “We can do it better”. So we did. It’s a common refrain, and I suppose this is what all founders should think! After all, if your product is inferior in every way to even one incumbent product, why do it at all? Still, this is always an invalid “idea” for a business. To see why, consider a home builder who says “I looked at all the other houses in this city and thought, ‘I can do better’”. 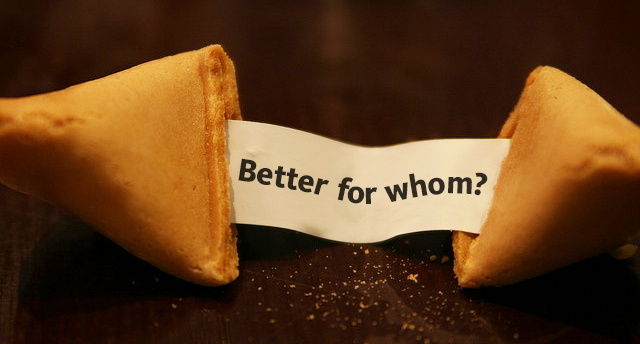 Better for whom? A 19-year-old bachelor who never cooks, skipped college, and has no money? A millionaire with a wine collection? A family of six? A family of rats? You quickly realize there’s no such thing as “better”. There’s only such thing as “better for a specific market segment”. What spurred this blog post was someone who wrote exactly what I quoted above, in the space of project-management (PM) tools. It makes sense — almost everyone dislikes some aspect of their PM tool (which might also explain the proliferation of such tools). PM tools assume you already know about project management. My PM tool is best for people who have been thrust into a PM position but need help on nomenclature, process, best practices, and how to get the most from their tool and their team. Modern PM tools are too simplistic because they follow the 37signals and Lean Startup mantra of building the simplest possible thing. But that means they’re no good for large, complex, distributed, multi-user projects. Older PM tools understood that use-case, but they’re clunky install-only implementations where online collaboration, mobile and even the Mac is a bolt-on afterthought. My PM tool is best for large, complex projects with modern technology requirements. PM tools were built in the installed- or web-based-eras. My PM tool was built from the start for the iPad only. It’s the best if you need to manage projects from meetings and on the go. PM tools are built for a small, fixed set of workers. My PM tool is best for distributed, open projects with thousands of members but which still require central management. PM tools assume your set of tasks, goals, and projects are relatively fixed. My PM tool is best for open-ended projects where requirements change constantly and the tool should change with it and even measure the change. If you know your audience, you can create targeted advertisements, go to specific conferences, and even cold-call them on LinkedIn. You know what words to put on your homepage. You know which features will especially tickle their fancy. You know what to highlight to differentiate from competition. Or if you’re still in the ideation stage, it gives you the basis for customer development, both in finding potential customers to call and in what you’re verifying when you get them on the phone. Surely your product is “better” than the rest… for someone. Who? 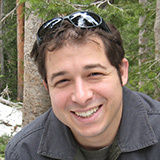 Thanks a lot to Jason Cohen for contributing this post, originally published on blog.asmartbear.com. is the founder of WPEngine, a company that offers peace of mind WordPress Hosting. He is also Partner at Capital Factory, writes about entrepreneurship and author of the book Best Kept Secrets of Peer Code Review. You can follow him on Twitter. what and why. Ideal for Teams that ship early & often. This blog is brought to you by the team behind Blossom. We share love on product, customer experience, the creation of software and startups.